Our athletic-like moisture-wicking fabric keeps you dry throughout the night so you sleep better. Our sheets release trapped body heat, regulating heat, so you can have the most comfortable sleep. Everyone needs a good night's sleep! But uncomfortable bed sheets can lead to tossing and turning. So, we created the science of soft: Softology™. 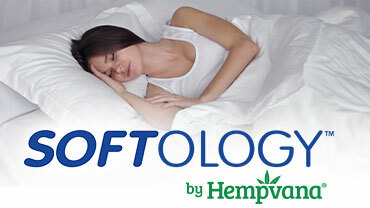 Softology™ Sheets are so lightweight and smooth to the touch, it's like sleeping on air. READ FULL DESCRIPTION Unlike traditional cotton sheets, Softology™ Sheets are made with breathable athletic fabric that releases trapped body heat and moisture-wicking system to keep you cool, dry, and comfortable. Traditional sheets fall off the corners of your bed and bunch up. But, Softology™ Sheets are made with Never-Crease technology and laser measured to fit every mattress perfectly for a crisp clean look that stays put! Get your set Softology™ Sheets now and we'll include 2 Pillowcases, absolutely free! Get the Twin Set for just $59.99 , the Queen Set for just $69.99, and the King Set for just $79.99 plus $9.99 S/H. But wait-double your offer and we'll send you your order absolutely FREE! Order today to start your 30 Day Sleep Trial, and you won't be charged the full amount for 30 days. Hurry, this limited-time offer expires soon! OFFER: Get your set Softology Sheets now and we'll include 2 Pillowcases, absolutely free! Get the Twin Set for just $59.99, the Queen Set for just $69.99, and the King Set for just $79.99 plus $9.99 S/H. But wait-double your offer and we'll ship your order to you for FREE! Order today to start your 30 Day Sleep Trial, and you won't be charged the full amount for 30 days. Hurry, this limited-time offer expires soon! SOFTOLOGY SHEETS GUARANTEE: Your satisfaction is 100% guaranteed. Try Softology Sheets for 30 days before buying. If you are dissatisfied with your Softology Sheets for any reason, simply return them within 30 days and you will only be charged $19.00 for shipping and handling. If you are still dissatisfied after your 30 Day Sleep Trial, return your Softology Sheets within 30 days for a full refund of your purchase price excluding shipping and handling. See our return policy for more information. Exceptions may apply.